Abbeville Small Bench, White + Cushion | Great Little Trading Co. 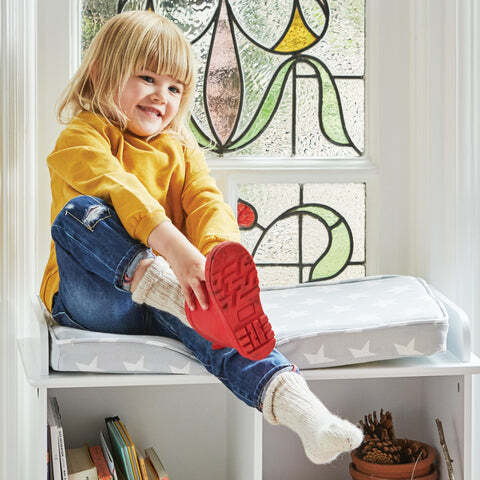 The newest addition to our range of Abbeville cube storage, this lovely storage bench is ideal for all sorts of wasted corners or small spaces; that smart cushion turns the bench into a useful extra seat plus you can take it off and wash it - how handy is that? The entire range is made from thick MDF with a steadying plinth and a sturdy back panel; it's built to stay the distance, even if you move house or lug it from room to room. 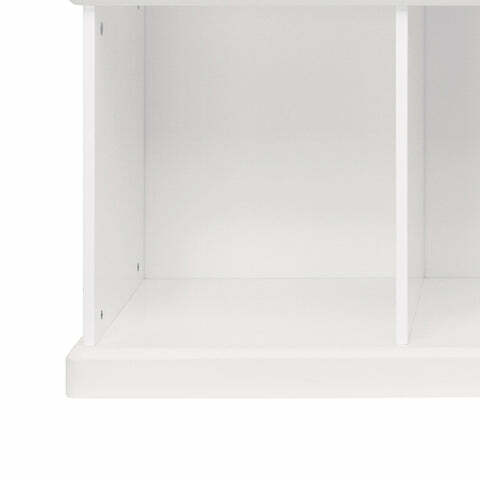 It's painted with a durable, Bright White finish. 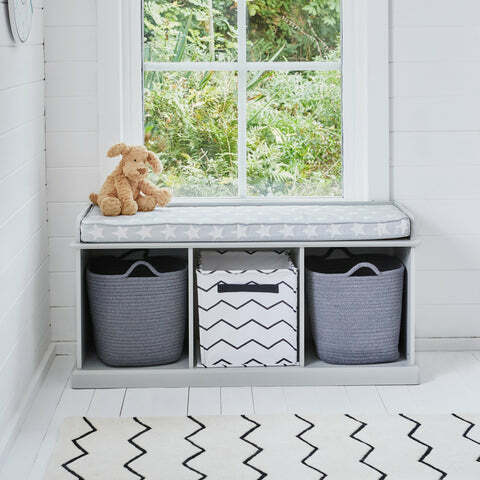 This storage bench is currently available in White, but our Abbeville storage comes in a range of different configurations, several of which are available in Stone or Cloud Grey.